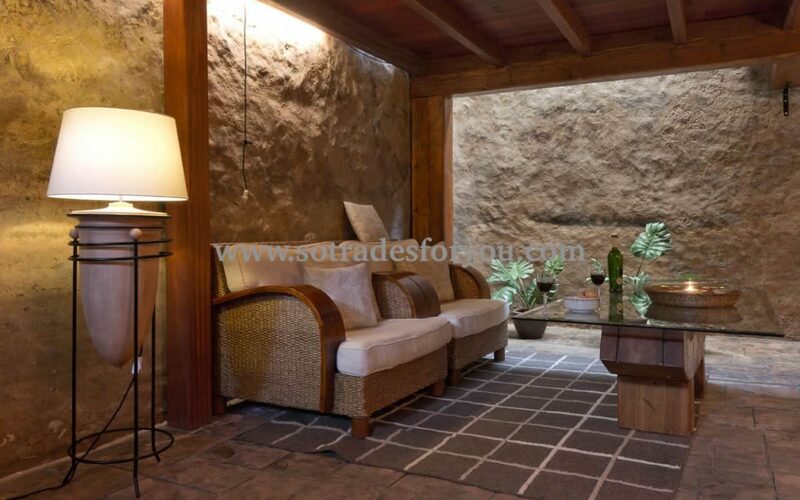 Exceptional property in Lanzarote. 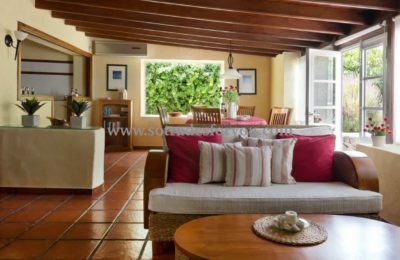 This property consists of 3 independent villas with a total built area of 405 m2 on a plot of 3138 m2 urbanisable! 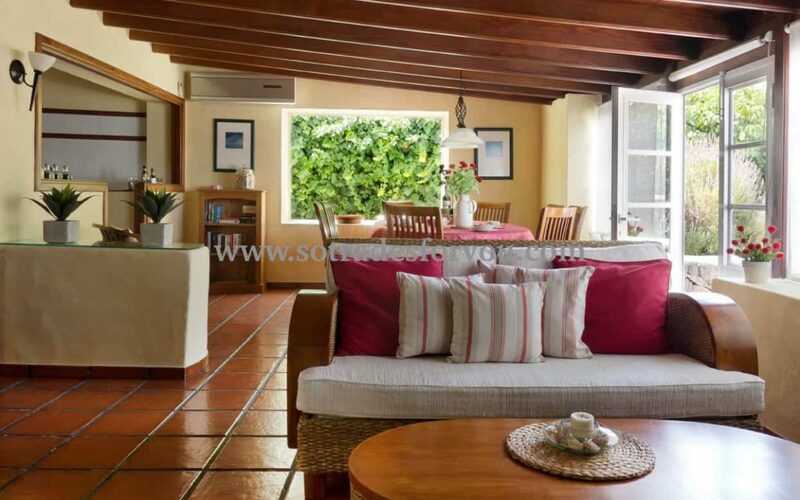 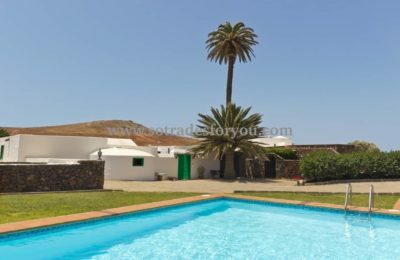 This property has a tourist license, so it is a unique opportunity to acquire your own business in Lanzarote to rent luxury villas to tourists. 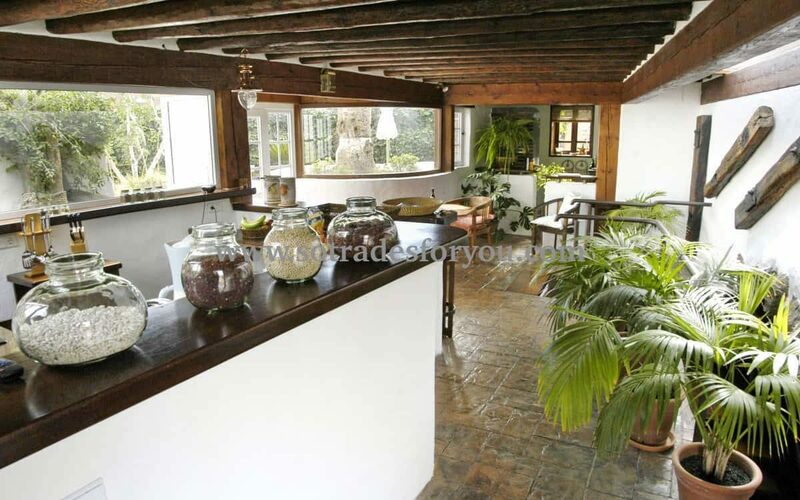 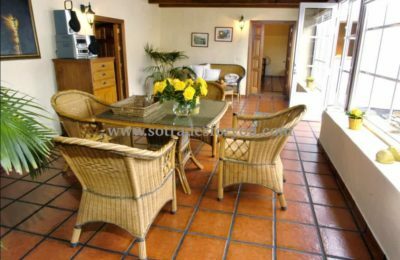 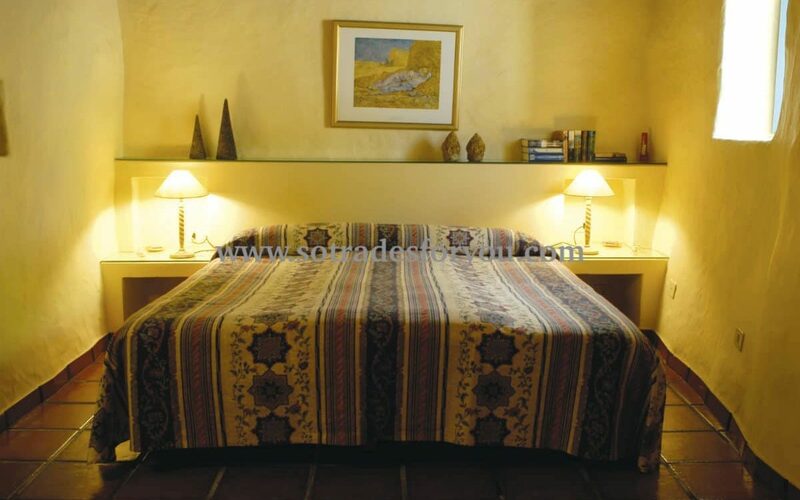 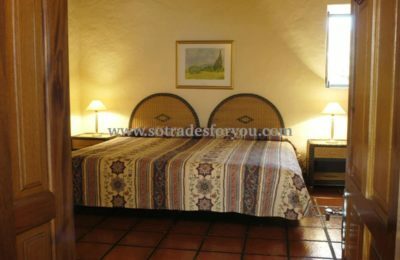 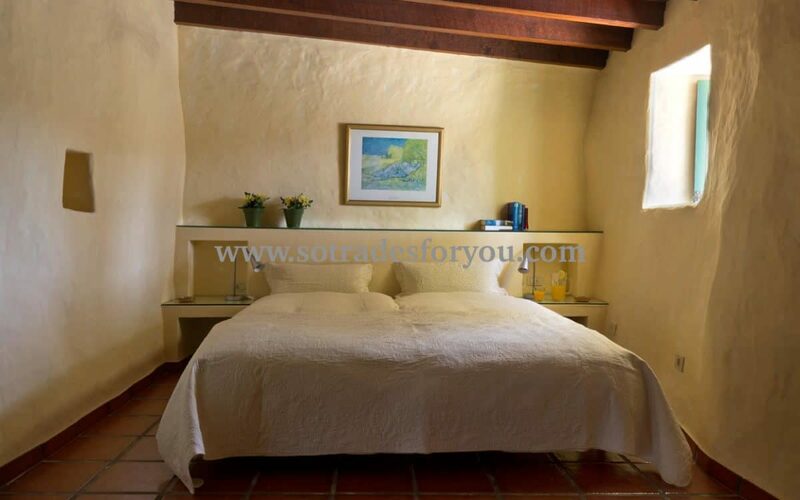 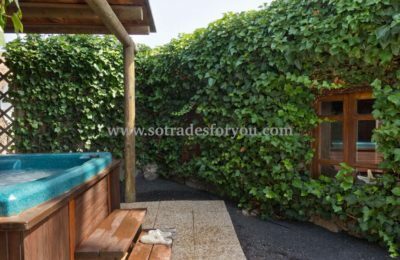 This property is located in Lanzarote in the small village of Los Valles. 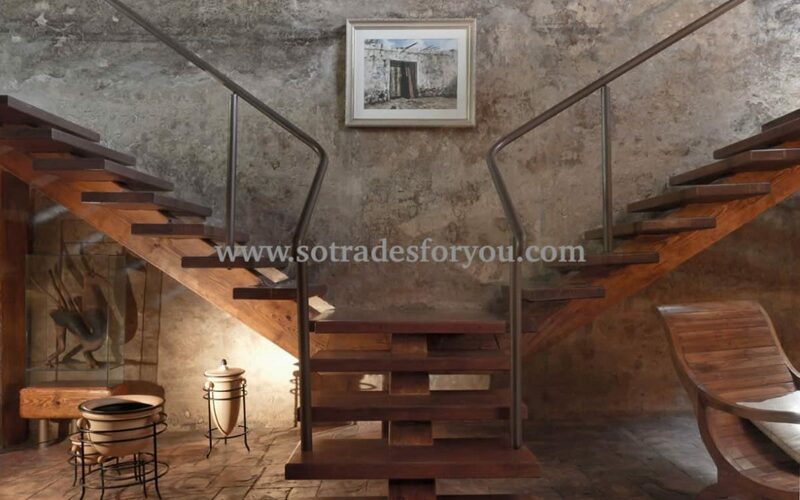 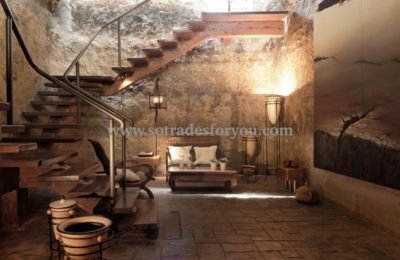 An old country house and the 200 year old cistern were renovated, conserving the traditional architecture and style of the island. 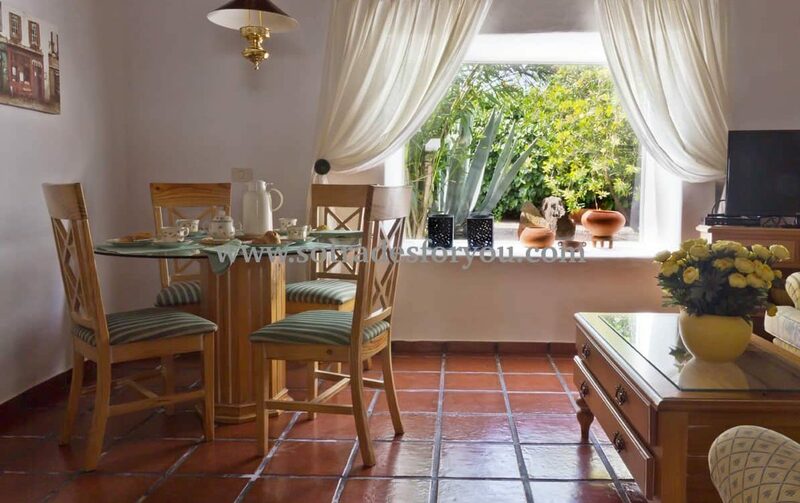 Each villa offers a series of facilities to enjoy the wonderful climate of Lanzarote and the sun. 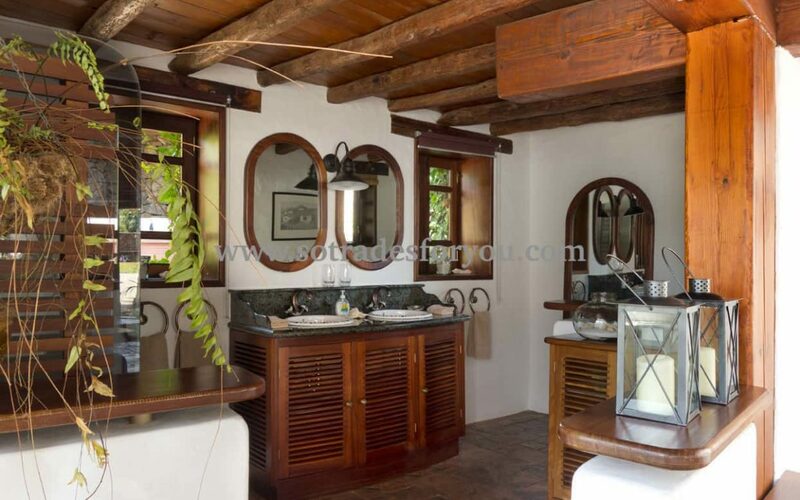 The interior patio, and the terrace next to the heated pool, are ideal places to enjoy the climate of the island. The area next to the pool offers an ideal space for barbecues under the starry sky. This villa of about 140m2, consists of two bedrooms, each with its own bathroom, a spacious living room and a fully equipped kitchen. 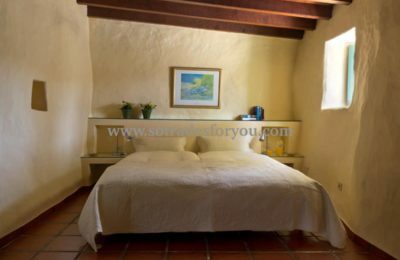 This other villa also has about 140m2, and also consists of two bedrooms both with en-suite bathroom, a large kitchen, a spacious living room and another greenhouse space with plenty of sun. The decoration of the two houses gives us a bright and warm atmosphere. 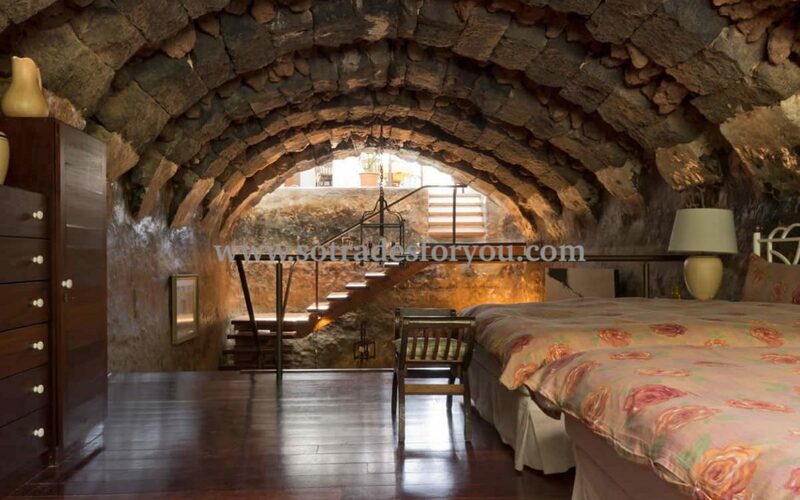 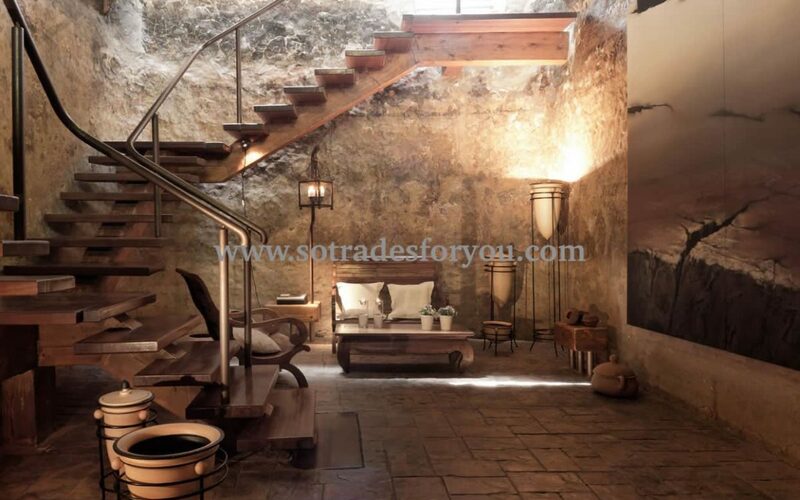 The water deposit has been converted into a luxurious villa of 125 m2. 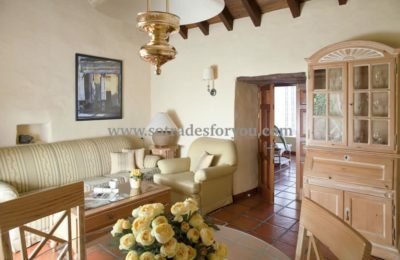 The bedroom and the living room are the spaces that really make this home unique and unforgettable. 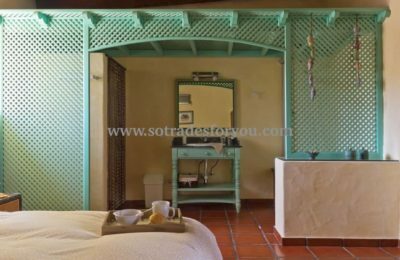 Hand-made furniture, meticulous lighting, paintings and sculptures by renowned island artists who decorate the steep stone walls and a stereo system of the most immersive, make this space an unforgettable experience. The master bedroom is at an intermediate height, just below the stone arches that housed the cistern for hundreds of years. A large window illuminates the room and gives us great views of the garden. On the upper floor, this villa has a modern kitchen, a large bathroom and a private terrace with a jacuzzi. 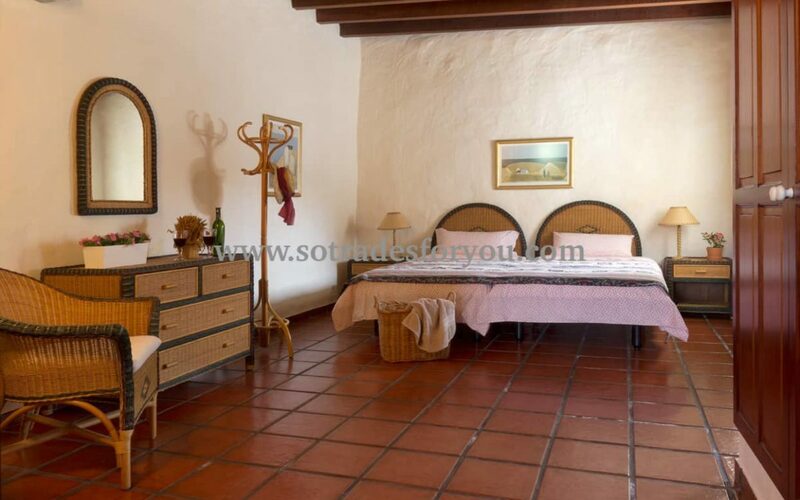 The village of Los Valles has a great history. Founded in the early 1700s, this town served as a refuge for the islanders fleeing the volcanic eruptions that formed what we know today as the Timanfaya National Park. 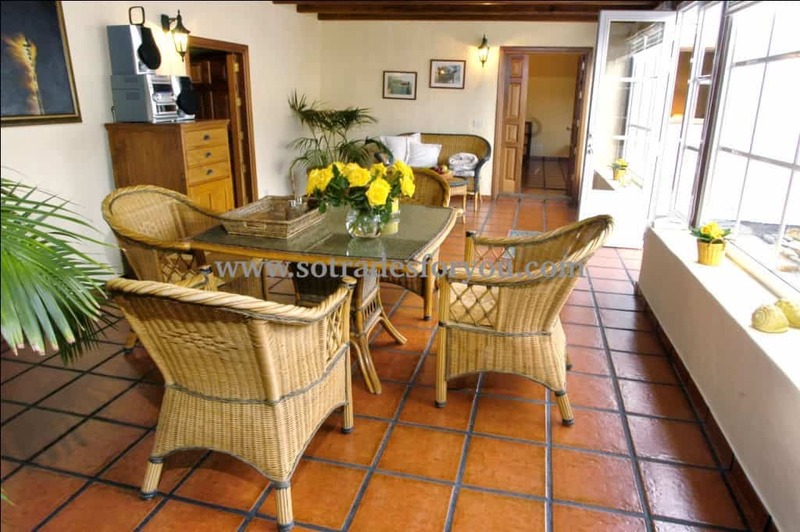 It is only 10 minutes by car from the coast. 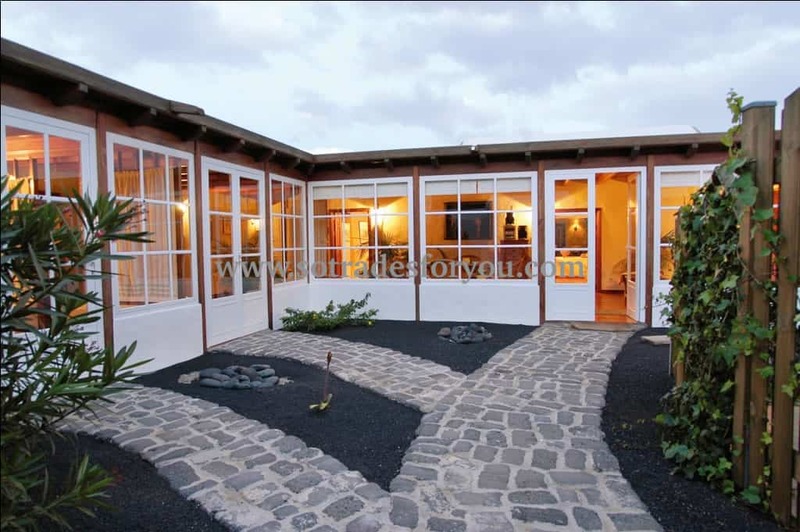 It is also well connected to the tourist center of Costa Teguise and the typical town of Teguise, where we will find a wide variety of restaurants and numerous entertainment options.